Michelle Davies | The Journal Gazette The corner of Webster Street and Jefferson Boulevard. 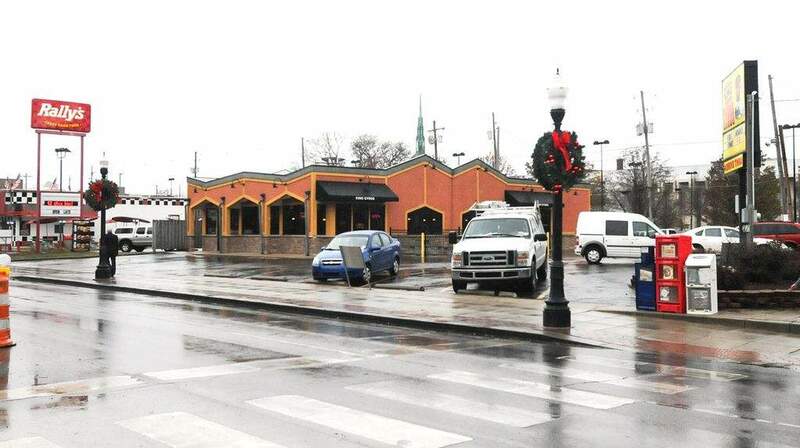 Restaurants in the so-called fast-food block along the north side of West Jefferson Boulevard just west of the Grand Wayne Center will soon have a new landlord – the Allen County Fort Wayne Capital Improvement Board. The board this morning approved a purchase agreement for the land that contains King Gyros, Rally's and Taco Bell. The $6 million deal will ensure the Grand Wayne has room to expand, although there are no immediate plans to do, Jim Cook, board president, said during the meeting. Board member and real estate developer Don Steininger told the Journal Gazette the restaurants would remain for some time. But they would pay rent to the board instead of the entities that now own the land, he said. The land could be used for parking or other expansion of the Grand Wayne, which is otherwise landlocked. The board had eyed the property for a downtown arena but shelved that plan earlier this year.